BAYS / DST U7/U8 Winter Development Clinic and Instructional League! BAYS Broadneck Soccer Club is pleased to again offer a 5-week development clinic for U7 and U8 boys and girls hosted by Broadneck High School coaches John Camm and Sean Tettemer and their Dynamic Soccer Training program. Sessions will include 1 hour of instruction followed by 15-minute games. Players will receive hundreds of touches per session and preparation for competitive league play. Where: Broadneck High School behind the stadium. Many parents and players wonder if they are ready for the cost and commitment required to participate in travel soccer at Broadneck Soccer Club. Travel teams are formed each spring by evaluation and play year-round in NCSL (National Capital Soccer League) or BBSL (Baltiore Beltway Soccer League). Costs will range from $1,000 to $1,500 per year. Youth Player Release: Any players new to BAYS who have played for another soccer club in Anne Arundel County must complete and return this form to their coach. Anne Arundel County Recreation & Parks Concussion awareness form: All players must compete and return this form to their coach. Parent Code of Conduct: All parents must not only complete and return this form to their child's coach, they are also to abide by the conditions within the Code of Conduct. Positive Coaching Alliance: Positive Coaching Alliance (PCA) develops BETTER ATHLETES, BETTER PEOPLE through resources for youth and high school sports coaches, parents, administrators and student-athletes. In addition to 1,000+ free audio-video and printable tips and tools at www.PCADevZone.org, PCA has partnered with roughly 3,500 schools and youth sports organizations nationwide to deliver live group workshops, online courses and books by PCA Founder Jim Thompson that help those involved in youth and high school sports create a positive, character-building youth sports culture. Starters is for pre-K and kindergarteners. Teams practice one night a week at the coach's choosing, with the first sessions beginning mid- to late-March. Sunday sessions are one hour between noon and 3pm beginning April 7 and continuing through June 9 with June 16 a makeup date (there are no sessions Easter Sunday, April 21, and Memorial Weekend Sunday, May 27). Sunday sessions are led by professional soccer trainers with the coaches' assistance. Junior Clinic (Under 6) and Senior Clinic (Under 7) are typically comprised of kindergarteners and first-graders. Teams practice one night a week at the coach's choosing, with the first sessions beginning mid- to late-March. Sunday sessions are 90 minutes beginning April 2 and continuing through June 4 with June 11 a makeup date (there are no sessions Easter Sunday, April 21, and Memorial Weekend Sunday, May 27).. Sundays start with a 45-minute session led by professional soccer trainers and the coaches. Then the team plays small-sided games (5v5) against another clinic team (two 20-minute halfs with 5-minunte halftime). Teams are formed on a first-come-first-assigned basis. Please include Buddy/Coach requests and Practice Night requests in the apropriate section when registering. We try to honor such requests, but there are no guarantees, as spaces are limited and coaches choose the practice nights. Once teams are built it is very difficult to move players from one assignment to another. Shin guards are required for all players, and cleats are recommended but not required. Ages 3-6 use a #3-size soccer ball, and Under 8 and Under 9 players use a #4-size ball - players are encouraged to bring their own soccer ball to practice, provided it is the proper size and marked clearly with your child's name. We always need new volunteer parent-coaches for Starters and Clinic teams. Please consider volunteering to coach, assist or even help manage a team. BAYS is a volunteer-run organization, and without parents like you stepping up, our children would not be able to play. You can register to volunteer similar to how you registered your child. If you'd like more information on volunteering, email soccer commissioner Alex Knoll at soccer@broadneckyouthsports.com. County teams are formed each season and play within the Anne Arundel Youth Soccer Assocoation system. Team spaces are on a first-come-first-assigned basis. Teams typically practice twice a week at the coach's choosing, with the first sessions beginning mid-March. The season begins the weekend of March 22-24 and continues through May 31-June 2 with June 7-9 makeup dates. Most ages play Sundays, while U12 plays Friday nights. There is at least one double-header weekend with games on Saturday and Sunday, and any makeup games may be scheduled on Saturdays also. • Returning fall player using same uniform kit $140, $130 before January 31. Boys Under 18: (high-schoolers born 2004 through 2000). Girls Under 18: (high-schoolers born 2004 through 2000) - girls teams at this age play 7v7 on a mid-sized field. Shin guards and cleats are required for players of all ages. Ages 7-11 a #4-size ball, and ages 12 and up a #5-size ball - if you bring your own soccer ball to practice, be sure it is the proper size and marked clearly with your child's name. Please consider volunteering to coach, assist or even help manage a team. BAYS is a volunteer-run organization, and without parents like you stepping up, our children would not be able to play. You can register to volunteer similar to how you registered your child. If you'd like more information on volunteering, email soccer commissioner Alex Knoll at soccer@broadneckyouthsports.com. Depending on age, teams practice one or two nights a week. If you have practice requests, include them in the comments section when registering; we try to accommodate these requests, but practice nights are at the coaches' choosing, as they are all volunteers, so we cannot guarantee what nights practices will be. Age Categories: Please use your child's correct date of birth when registering. Players 12 and up may try out at an older age group as well as their birth-year age group. Please include this information in the comments section when registering. Under no circumstance may any player "play down" into a younger age group. What fouls yield an indirect kick? Is a goal kick direct or indirect? Is there offsides on a goal kick? How much room must be given by an opponent on a throw-in? These questions and more will be answered by CASRA referee coordinator Garrett Tucker in a FIFA Laws of the Game seminar Sunday, February 26, 1-3pm at Annapolis Middle School. This is a great workshop for coaches and parents alike, as well as teens interested in coaching BAYS' Intramural teams. 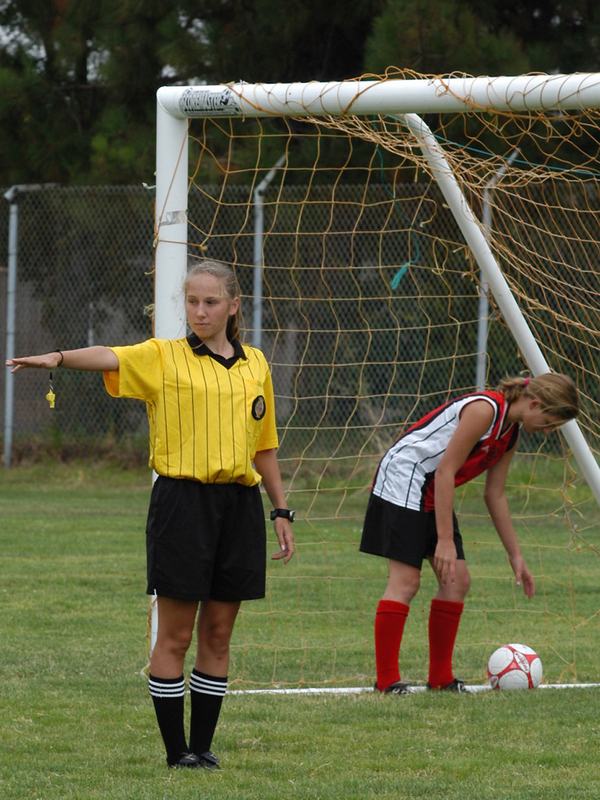 Join CASRA Assignor and USSF State Referee Instructor, Garrett Tucker for an overview of soccer rules that impact your son, daughter, player and/or teams. The 2-hour seminar will provide education on rules of the game, their application and interpretation for the parent and/or coach. Topics include: Offside, Throw-Ins, Dangerous Play, Goal Keeper restrictions, Handling. Information will be presented through a Power Point. Please come with questions but hold them until the end during the alloted Q&A time. Follow this link to enter your game scores. Confused about your child's age group? Use this handy Youth Soccer Age Group calculator. Beginning with the 2016-17 soccer season, US Soccer has mandated a change in registration birth dates. No longer will age groups be aligned under the confusing Aug 1 to July 31 standard that we have all grown accustomed to. Instead, players will now register according to their year of birth: 2004, 2005, etc.